Hey! Let’s Go to San Francisco! In celebration of the Spring equinox, I wanted to do an obscure classic rock post about a band that fit the Spring spirit. This clearly was not too difficult because this was the era of the flower child. After a few seconds of thinking I came up with the perfect melodious blend of music for this absurdly beautiful day in NYC. And, of course, I pick a song about going to San Francisco written by some chaps from Britain. Hey, didn’t you hear, we are going to San Francisco – but in this song you don’t have to wear a flower in your hair. 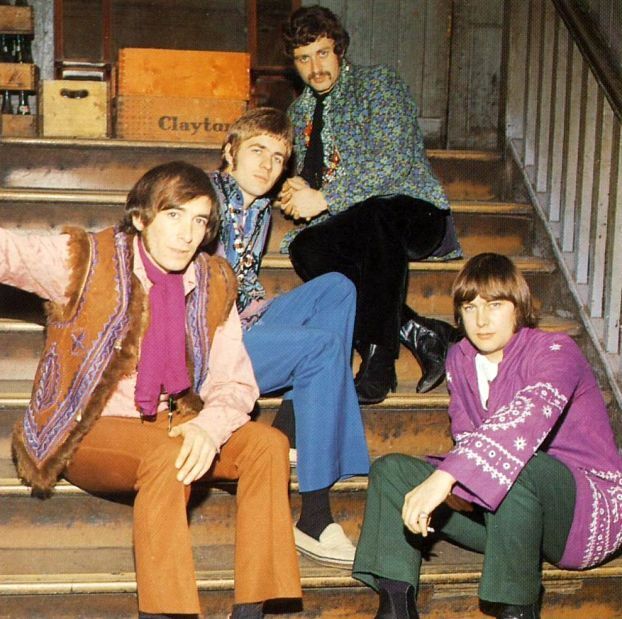 The Flower Pot Men may have created one of the most easy-going, light-hearted, songs of 1967, yet, because they were a band constructed of talented session musicians and didn’t stay together long, their name and this song have fallen into obscurity. But not to worry, there is still a strong coterie of individuals who remember and like the song enough to mention it, listen to it, and write about. Harmony pop at its finest here folks. The hybrid call and response is magnificent – if you are into that type of thing of course. The song is upbeat but drawn out enough that you feel the musical saturation. You are doused with this Beach Boys’ like California (almost surf-like) beat that fits the title of the song perfectly. It is a relatively simple song and that is what makes it so excellent. We even get a Beach Boys breakdown (including some late 60’s instrumentation). The band did not only release this hit. They attempted to strike it big again with “A Walk in the Sky” which for all intents and purposes is the same exact song. At around 54 seconds though something changes and it is remarkable. They actually progress years in their musical styling – from the inherently poppy early 60s pop to a late 60’s Pet Sounds like breakdown which is definitely the best part of the song. Check it out. The Flower Pot Men would go on to change members (Jon Lord and Nick Simper of Deep Purple was actually in this band for a little while) and actually become the band White Plains that you may not have heard of but if you were around in 1970 probably heard this song. It’s pretty much the same song as the other two with some strings and horns.